Deborah’s knowledgeable and entertainingly told current lecture has wowed gardeners across the country. 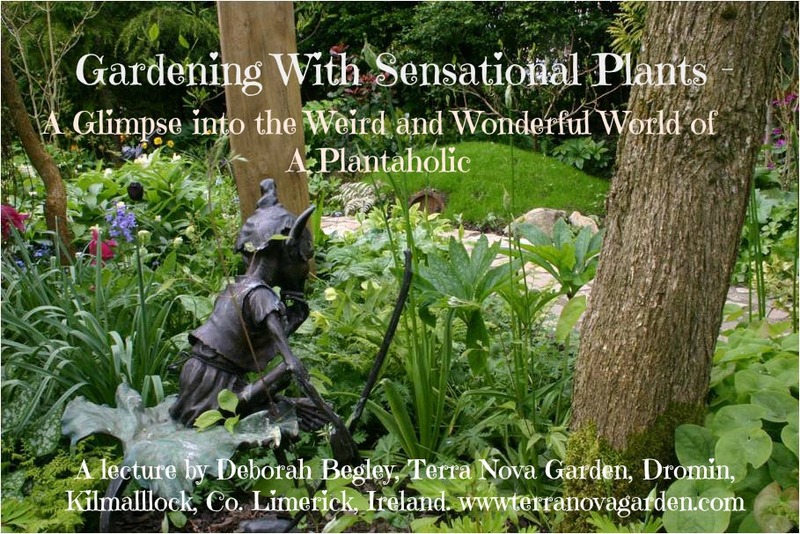 “Gardening with Sensational Plants - A Glimpse into the Weird and Wonderful World of a Plantaholic” has held audiences spellbound. A lifetimes experience erupts into an informative, exciting and witty rollercoaster of a lecture, featuring 250 beautiful slides. So hold on to your seats , sit back and enjoy the ride. Each lecture rounds off with Deborahs unique little quiz. The observant winners are awarded with beautifully wrapped, hand selected prizes.